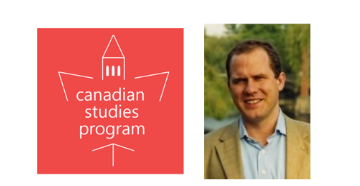 Dr. Andrew Preston will speak in the IIS US Foreign Policy Series in a talk co-sponsored by Canadian Studies on Thursday September 28 at 5 PM in 223 Moses Hall. Andrew Preston teaches American history at Cambridge University, where he is a fellow of Clare College and the editor of The Historical Journal. He is the author of The War Council: McGeorge Bundy, the NSC, and Vietnam (2006) and Sword of the Spirit, Shield of Faith: Religion in American War and Diplomacy (2012), which won the Charles Taylor Prize. Preston is currently editing the second volume of the forthcoming Cambridge History of the Vietnam War and writing a history of the idea of national security in the United States. To learn more, visit the IIS website. The IIS Foreign Policy Series is free and open to everyone, no ticket or RSVP required. The next Canadian Studies Colloquium will be on Wednesday, October 4 at 12:00 Noon in 223 Moses Hall. Newly-appointed Consul General of Canada in San Francisco Rana Sarkar will speak on NAFTA and trade issues. Consul General Sarkar will be joined by Canadian Studies Director Irene Bloemraad, who will speak on immigration issues. Buffet Lunch at 12 noon, followed by talks beginning at approximately 12:20. Sponsored by our friends at the Consulate General of Canada in San Francisco. 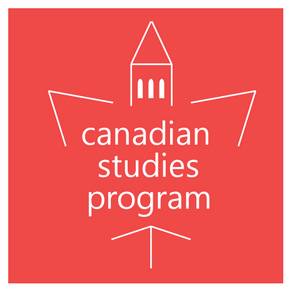 This entry was posted in Canadian Studies Program UC Berkeley, Consulate General of Canada in San Francisco and tagged Canadian Studies Program UC Berkeley, Consulate General of Canada in San Francisco on September 30, 2017 by Michael K. Barbour. horrors of ethnic cleansing in the Balkans and Rwanda. Motorcycles were indispensable in both world wars. In the First World War, only a handful of motorcycles went across when the Canadians embarked for Europe, but by war’s end, thousands had been put to good use. In the Second World War, the speed, adaptability and sheer power of the motorcycle was invaluable; the Allies produced more than 700,000 of them. Northwest Passage, receives a hero’s welcome at Esquimalt, B.C. Stay social with Legion Magazine! This entry was posted in Legion Magazine and tagged Legion Magazine on September 29, 2017 by Michael K. Barbour. 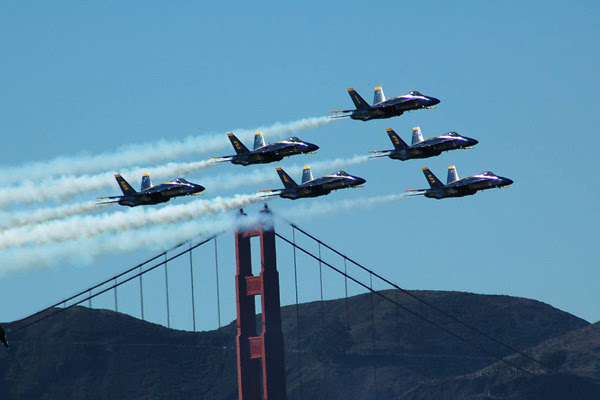 While not veteran-related, this newsletter comes from a Canadian-focused organization in the Bay Area and some of the events may be things of interest to our membership. 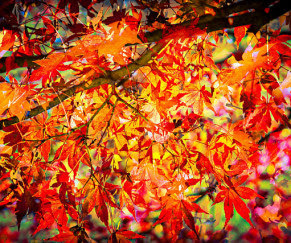 Last week for early bird pricing on Canadian Thanksgiving tickets + hockey and more great events around the Bay Area. Early bird pricing ends this Saturday! 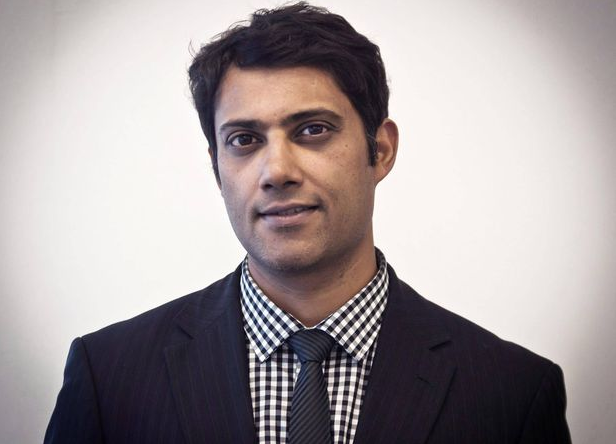 Special guest Rana Sarkar, newly appointed Consul General for the region, will be in attendance to meet the community. Early bird rate available until September 30. 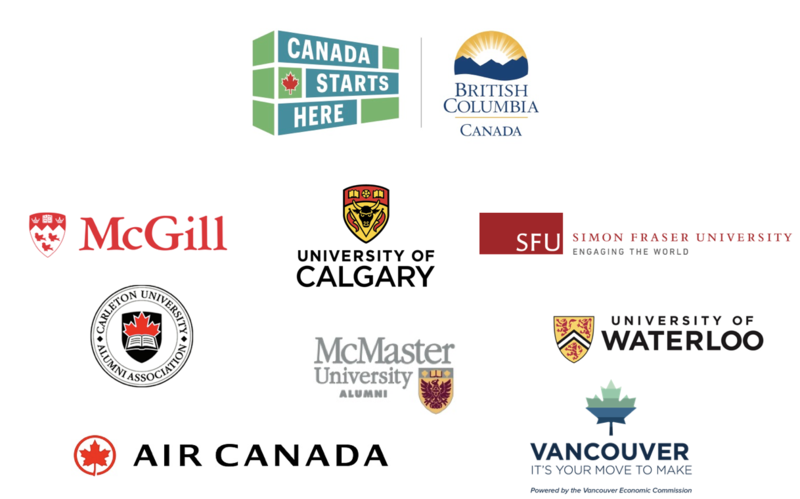 SFU, UW, McGill, McMaster, Calgary, and Carleton Alumni get a 10% discount on all tickets. Contact us or your alumni association for more details. Sat. October 7 | 5:00 p.m.-9:00 p.m. The Digital Moose Lounge is seeking a new part-time Executive Director / Prime Moose to lead our organization into its next chapter. 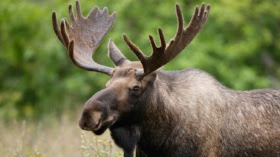 If you’ve ever wanted a job title with “Moose” in it, this is your chance! This role is a great fit for someone who can creatively and successfully find partnerships and funding, run large events, and make connections with people and organizations of all types. We are open to candidates from a wide range of professional backgrounds and are accepting applicants on an ongoing basis. Please help us spread the word about this cool job! Andrew Preston teaches American history at Cambridge University, where he is a fellow of Clare College and the editor of The Historical Journal. He is the author of The War Council: McGeorge Bundy, the NSC, and Vietnam (2006) and Sword of the Spirit, Shield of Faith: Religion in American War and Diplomacy (2012), which won the Charles Taylor Prize. Preston is currently editing the second volume of the forthcoming Cambridge History of the Vietnam War and writing a history of the idea of national security in the United States. Free. No ticket or RSVP required. Thurs. September 28 | 5:00 p.m.-6:30 p.m.
Buffet Lunch at 12 noon, followed by talks beginning at approximately 12:20. Wed. October 4 | 12:00 p.m.-1:30 p.m. Branch 25 meets at noon on the first Thursday each month, and welcomes new members and guest interested in veterans’ issues and supporting veterans. Thurs. October 5 | 12:00 p.m.-1:30 p.m.
As part of its World Cinema programming, the Mill Valley Film Festival presents the US PREMIERE of Canadian film Porcupine Lake. The latest feature film by the DIY Queen of Canadian filmmaking, Porcupine Lake brings wide-eyed, 13-year-old city dweller Bea to a small rural town where she meets brash, long-haired tomboy Kate. As Bea becomes enamored with all things Kate, the world opens up before her. But all summers must end. Director Ingrid Veninger and to-be-announced talent in attendance at both screenings. Fri. October 6 | 8:45 p.m.-11:00 p.m. Sat. October 7 | 12:45 p.m. – 3:00 p.m.
Planning to attend? Contact us to find out about a pre-screening casual meet-up for some films. Canadian Women’s Club 2.0 invite you to mix and mingle with old friends and new and celebrate Canadian Thanksgiving with fellow Canadians. Dinner served at 1 p.m.
Tickets $48 and include dinner tax, gratuity, and parking. Cash bar. Sun. October 8 | 12:00 p.m.-3:00 p.m.
As part of its World Cinema programming, the Mill Valley Film Festival presents the US PREMIERE of Canadian film Worst Case, We Get Married (Et au pire, on se mariera). Montreal’s gritty Central-South neighborhood doesn’t offer much for teenage Aïcha until she meets dreamy Baz, a handsome neighbor twice her age. Worst Case, We Get Married (Et au pire, on se mariera), Léa Pool’s latest film featuring powerful performances from Karine Vanasse and Sophie Nélisse, explores obsession, truth, and fantasy, as it unpacks an all-consuming case of love at first sight. Tues. October 11 | 3:30 p.m.-6:00 p.m. Sat. October 12 | 6:30 p.m. – 9:00 p.m.
Join us in our own VIP private plaza area before and during the game to mix and mingle with the group. Ticket price includes the game and plaza experience, a hot buffet dinner and two drink tickets. Spots are limited, so make sure to get yours early! 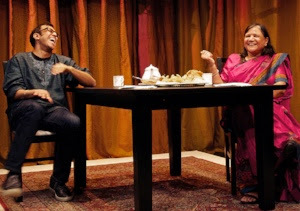 Tues. October 17 | 6:15 p.m.-10:00 p.m.
Culture clash, Canadian-style, comes to life in A Brimful of Asha, a two-person play written by and starring mother and son Asha and Ravi Jain. The story is about a first-generation twentysomething who wants to connect with his Indian heritage—but not necessarily all of it. How will his family handle the conflict? A Brimful of Asha’s warm and complex story has captivated audiences throughout North America. Join fellow U of T alumni to investigate how mindfulness can contribute significantly to one’s overall sense of well-being and quality of life. Thurs. October 18 | 6:30p.m.-9:00p.m. 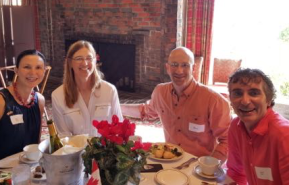 Canadians in Tech events are monthly meetups for all Canadians visiting or living in the Bay Area to network with one another alongside C100 staff, Charter Members and Partners. All are welcome to this frequent gathering. Thurs. October 26 | 5:30 p.m.-7:30 p.m. Cheer on the Leafs as they take on the Sharks with a group of Canadians and the Digital Moose Lounge. Hailed as “the return of Patrick Marleau” and the only time we’ll see the Leafs in regular season play this year, this game is one not to be missed! Tickets $52 each. They are located in the Upper Bowl and will be available for pick-up the day of the game at Will Call. The pre-game meet-up will be at San Pedro Square Market from 5:30pm. Mon. October 30 | 7:30 p.m.-10:00 p.m.
Have you seen our website’s collection of local resources? 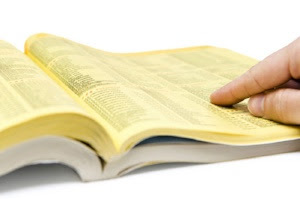 Information about where to get your favourite Canadian foods, tax and legal advice, and more. Have you had a great experience you think we should know about? Do you frequent any great local Canadian-owned businesses? Let us know and we’ll spread the word! Copyright © 2017 Digital Moose Lounge, All rights reserved. This entry was posted in Digital Moose Lounge and tagged Digital Moose Lounge on September 28, 2017 by Michael K. Barbour. Click here to read this newsletter in your web browser. For those of us who feel so strongly about supporting our military families, this has been a difficult week full of controversy and pain. I read the news about a ninety-seven-year-old WWII veteran who explained why he chooses to take a knee in protest; and I have heard from many of our Gold Star families who know deeply the meaning of the our Anthem, as they watch the flag-drapped caskets of their loved ones return home. Mostly – we want to listen. One of the best gifts received for being a part of the Wreaths Across America experience, has been learning life lessons from the people who put it all on the line, to protect our freedoms. So we listen, and we learn from one another. There is an important conversation taking place in our Nation right now, and not the least of which, is a conversation about the values and appreciation of what it means to be an American. So I encourage you to listen to your neighbors. And focus on what we have in common, and where we are in agreement. We are many. We are one. We are Americans. I think that is one thing we can all agree upon. And we would like to hear what you think. God Bless This United States of America. In the Down East Maine area this fall? 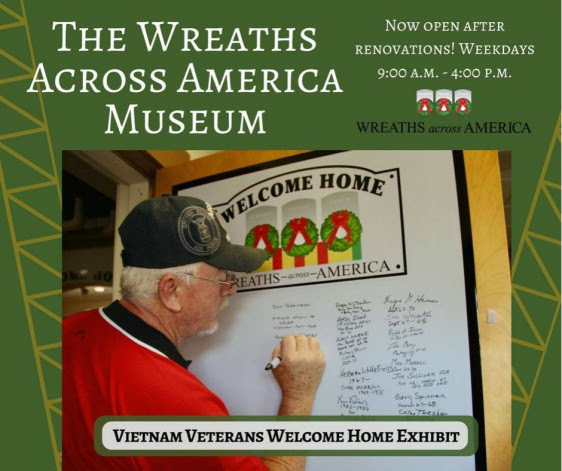 Come visit our new and improved Wreaths Across America Museum. Always free to the public and open on weekdays from 9-4. We are seeking up to 200 volunteers willing to dress in period attire on Saturday, December 16, 2017. You will need to provide your own authentic attire and will be assigned to a particular location within or around Arlington National Cemetery. Please check-out our Wreaths Across America page and click “Donate” to place a wreath on a veterans grave on December 16th. ALSO, please share this page with your friends. Thanks for your support. 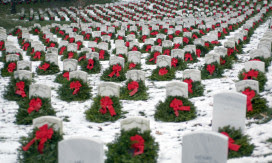 It’s only 81 days until National Wreaths Across America Day. 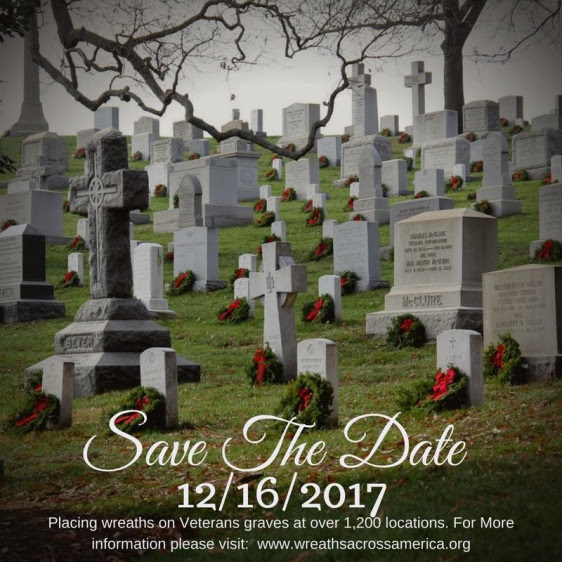 With our #CountdownToWreathDay series we have been talking with volunteers, location coordinators, and WAA fundraising groups about their local efforts at each of the over 1200 participating locations nationwide. 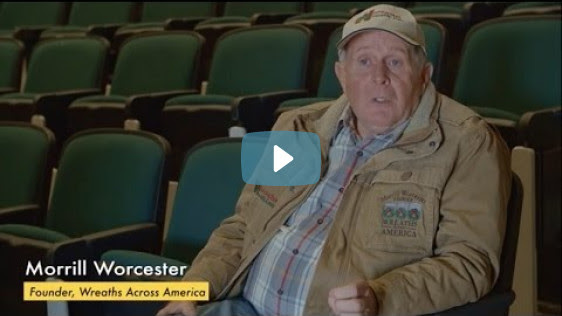 Unsung: A life in the day of hard work- by Shell Rotella features Wreaths Across America Founder Morrill Worcester. A female Marine graduated from the Corps’ grueling Infantry Officer Course Monday, marking a historic feat as the first woman to earn the 0302 infantry officer military occupational specialty. Nothing is as important as family to a Soldier. We love you Dad, but this one goes out to Mom! “Mama Tried”, written by Merle Haggard. 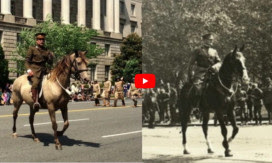 In the midst of the airing of the groundbreaking film series called The Vietnam War, the Vietnam Veterans Memorial Fund (VVMF) achieved a major milestone in remembering those who died. When you learn about Brad Pinchuk’s military service background, it’s not hard to understand why his trucking company supports the Wreaths Across America mission to remember, honor, and teach.Brad served in the U.S. Army as a combat engineer during the first Gulf War, his father served our nation during the Vietnam War, and his grandfather during World War II. 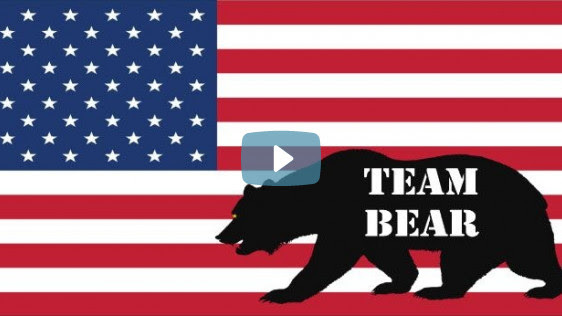 Do you know of a patriotic story for or about our veterans, that we should be sharing? We would love to hear it! You can submit the basic details here, and we will follow up with you. Note: Have you ever had a conversation with a “reporter-bot?” We set this up to collect stories 24/7 or whenever it is convenient for you, and then the WAA Social Media Team can join the conversation. We look forward to hearing from you! A grand achievement for Wreaths Across America – Official Page with the help of a woman from Va. Beach, Bre Kingsbury and leader of the Team Bear Fundraising Group. Bre is also leading a fundraiser in San Diego tomorrow if you can make it! This entry was posted in Wreaths Across America and tagged Wreaths Across America on September 26, 2017 by Michael K. Barbour. tribute to those who have served their countries and returned with life-changing injuries. Read the inspiring stories from some of Team Canada’s Invictus Games 2017 athletes! Tough love and quadriplegic rugby helped Chis Klodt find his independence. Searching for mines, bombs and IEDs was Étienne Aubé’s specialty. Then a motherlode changed his life. Natacha Dupuis, co-captain of Canada’s 2017 Invictus Games team, was inspired by other injured soldiers. This entry was posted in Legion Magazine and tagged Legion Magazine on September 25, 2017 by Michael K. Barbour. Dr. Andrew Preston will speak in the IIS US Foreign Policy Series in a talk co-sponsored by Canadian Studies on Thursday September 29 at 5 PM in 223 Moses Hall. 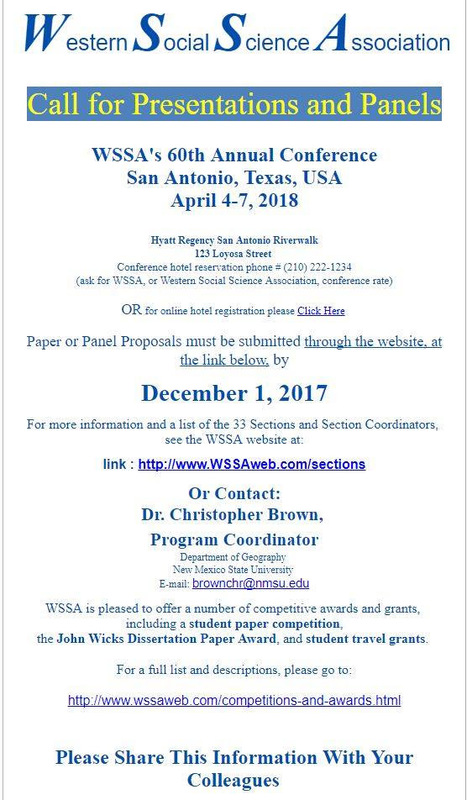 The Western Social Sciences Association has just released the Call For Proposals for their April 2018 conference in San Antonio, Texas. Canadian Studies has modest travel funding available for Berkeley faculty and students presenting Canadian content at the WSSA conference in Texas in December 1, 2017. Please submit your conference proposal to the WSSA and then contact Elliott.Smith@berkeley.edu for further information regarding travel funding. The Council on Foreign Relations (CFR) has launched the second year of its International Affairs Fellowship in Canada. The Fellowship seeks to strengthen mutual understanding and cooperation between rising generations of leaders and thinkers in the United States and Canada. Interested candidates can apply online until October 31 2017. This entry was posted in Canadian Studies Program UC Berkeley, Consulate General of Canada in San Francisco and tagged Canadian Studies Program UC Berkeley, Consulate General of Canada in San Francisco on September 22, 2017 by Michael K. Barbour.